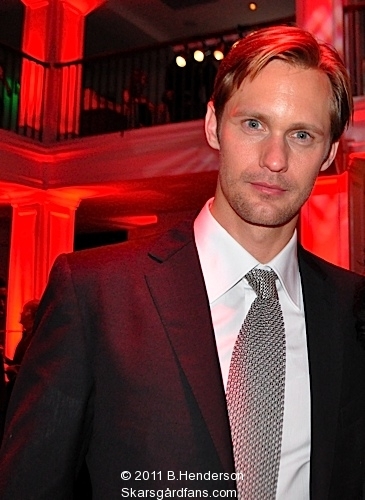 I have uploaded the audio podcast (click below to access) thanks to all for visiting the blog and supporting our fan site that has been dedicated to Alexander Skarsgard since 1/2009! B/Skarsgardfans: What was your favorite scene to film for season 3 of True Blood? Alexander : Well, that’s always hard to answer. I think it’s so difficult because I don’t want to divulge too much. I do enjoy the flashbacks very much. Those are always a lot of fun to shoot. THere are actually a couple of really cool flashbacks (for S3) and one where Eric sees his human family. That was a lot of fun to shoot. We all shot the entire scene in Swedish here in L.A. That was a little weird but it was fun. B/Skarsgardfans: That’s great that we will get to see some flashback scenes. I know fans are looking forward to seeing your human family. Alex: And so was I! I was definitely looking forward to that. It’s great to get out and get to know about Eric and his past. He has been around for a long time. Alex: Well, that was an interesting day because we shot it on a rooftop in downtown Los Angeles. We had a window of about fifteen or twenty mintutes to shoot it. It was a kind of like in a theater where you well it’s not like usual ones where you have plenty of time to work on the scene. If you try things that don’t work you can cut and do it again. But we knew that we only had time for two takes and what we do is we set up four cameras and I remember the call time was like 4:30 in the morning. I went to bed and I was up at four, drove downtown and went up to the rooftop. They had these four cameras set up and we rehearsed it like ten times. So we really knew what we wanted and how to do it and how to shoot the scene. Alex: The sun was about to come up when we shot and we went only twice. It was exciting for me because I did theater back in Sweden and I haven’t done it in a couple of years. So it was kinda like a live performance in a way that you knew that it was now or never! B/Skarsgardfans: That’s amazing-so that scene was filmed in two takes that night? Alex: Yah it was in two takes. B/Skarsgardfans: So that is almost like doing live theater! Now that you mentioned theater, is that something that you would like to pursue again? Alex: Well, absolutely, it was like I said a couple of years ago in Sweden but it’s just a matter of finding the right play and also finding a window in my schedule where I can do it obviously. I’m busy with True Blood now but at some point where I’m on hiatus or sometime after the show I would do the theater again. It keeps me on my toes. It’s very exciting to do that every now and then. B/Skarsgardfans: That’s great. Is there a certain genre/style if you were to do theater again? -a drama or musical or a comedy? Is there one style you like best? Alex: I’ve done mostly drama before and I haven’t done a musical. I don’t think I’ll do that. I’ve done dark comedies. I can definitely play in that kind of drama where there’s a lot of dark humor as well and it’s really a lot of fun. We’ll see if we can time something great to play. Alex: I try to understand the character and prepare before we start shooting and you know an hour of talking to Rod (Lurie) and the other actors about the dynamic between Charlie and his ex-girlfriend, her new husband and finding his motivation and all the different siturations. And all that kind of drives him (Charlie) crazy. B/Skarsgardfans: Right..he’s pushed over the edge it seems and in that scene especially. Alex: Yah definitely. It’s really intense filled with a lot of violent things like that. 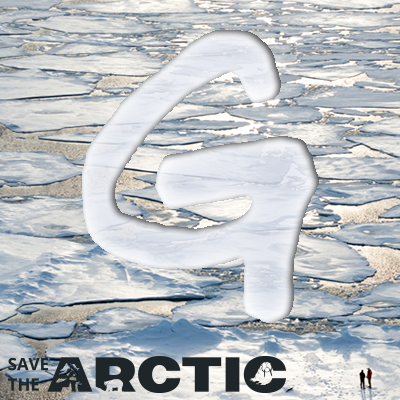 We spent a couple of days filming it and we were exhaused for a couple of weeks after that. B/Skarsgardfans: That had to be emotionally draining! Alex: Oh it drained me completely for sure. You really have to find that anger within me some how so you can get really connected to who you are. You just can’t play it on the surface. It’s got to be deeper, and to connect and have it feel real. That’s obviously quite draining. 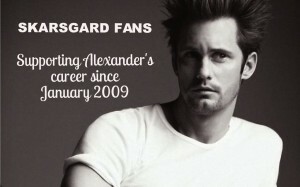 B/Skarsgardfans: I know that a lot of fans can’t wait to see you in Straw Dogs. A few fans have already seen a pre-screener of the film. Our co-admin Rye has seen the film. There has been nothing but acclaim for the film and how it is a great movie. Alex: They’ve seen more than I have. I haven’t gotten the chance to see the fim yet..
B/Skarsgardfans:You have mentioned that in Sweden you felt you were hampered by being offered the good looking-boyfriend roles. Aside from GenKill, your American roles have been closer to the ‘bad-boy” ie “True Blood”, “13”, “Straw Dogs”) What are your plans to avoid another type cast in this direction? Alex: No I’m not (worried) because I haven’t been in a lot of darker characters back in Sweden. I was very excited to get a chance to do something like Eric or Charlie in Straw Dogs. But no, um I’m not worried about that and there’s more to everything to be a bad boy. I think it’s a complicated character and I don’t think of Eric as evil. You can label good or evil. Usually from my point of view that’s boring. I don’t think you can be just dark and vampires are more complicated that that. Alex:When you work on a television show we’ve shot , we’re wrapping ups season 3 right now. We’re shooting after 11 and 12 midnight sometimes. There got to be more there’s got to be like more to the character (like an onion and layers) for you as an actor and it won’t be any fun for the audience. It’ll be like (the character) is one dimensional, in the same note the whole time. There’s got to be more. B/Skarsgardfans: Are you still set to start filming Melancholia this July? Alex: yah we’re not it this year! Good luck to USA. Thanks again! I really wanted to type a simple note in order to appreciate you for those splendid ways you are showing at this website. My particularly long internet investigation has now been recognized with reasonable facts and techniques to exchange with my family and friends. I would repeat that many of us readers are extremely endowed to exist in a magnificent network with very many marvellous people with very beneficial plans. I feel quite happy to have discovered the website and look forward to many more thrilling times reading here. Thank you once more for a lot of things. hey, gorgeous blogpost. Please keep it up!! !